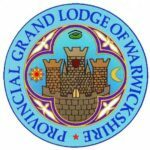 It is with great pleasure to report that two members of the Lodge received their first Provincial appointments at the Annual Meeting of Provincial Grand Lodge on the 18th May 2013. The meeting was held at the Provincial Temple, Stirling Road. A full house of Warwickshire Masons as well many honoured guests from adjacent provinces as well as further afield made the event most memorable. 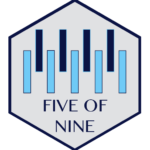 The presentation of the Officers for the ensuring year were appointed and invested and the Past Ranks were conferred and confirmed by the Provincial Grand Master, RWBro David F Macey. 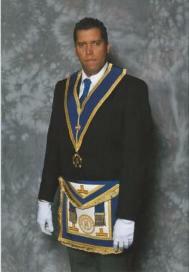 WBro Humberto R Campos was appointed Acting Assistant Grand Director of Ceremonies (Prov.A.G.D.C.) 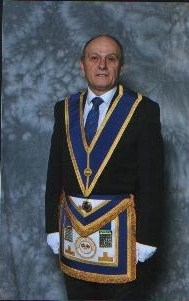 and WBro Robert L Ashford was appointed Past Provincial Grand Standard Bearer (P.Prov.G.St.B.). This was followed by address form the RW Provincial Grand Master. A hearty congratulation to both these brothers and a big thank you to them from the Lodge for all the support and dedication they’ve given to the Lodge over many years. Posted in News on May 18, 2013 by admin.